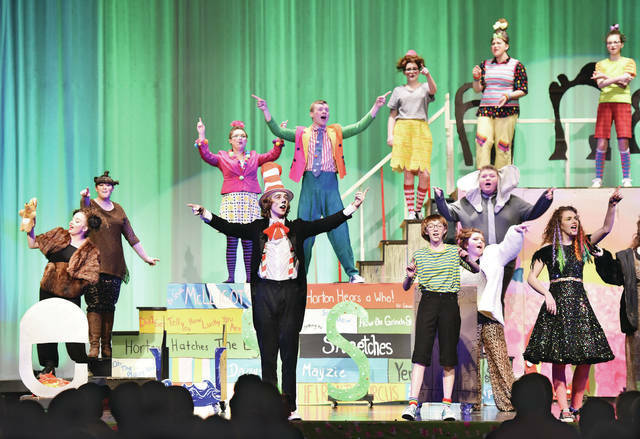 Houston High School presents Seussical Friday, March 22. Playing the Cat in the Hat is Owen Swigert, son of Travis and Amanda Swigert. The musical also had Dr. Seuss characters, Horton portrayed by Drew Walker, Jo-Jo portrayed by Lena Stangel, Gertrude portrayed by Eliza Mertz and Mayzie played by Olivia Bowser among others in the large cast.